Earth's linear time experiment/experience is almost out of "Time". The Doomsday Clock is just another way to awaken souls that Time's Up. Does it mean we have 2 years left? Hard to say as time is an illusion. The clock moved up 30 seconds from 2017 due to natural disasters, climate changes, and threats by North Korea among other countries. A panel of scientists and scholars said Thursday they believe the world is as close as it has ever been to a so-called doomsday scenario. The "Doomsday Clock," a hypothetical timepiece that measures humanity's proximity to destruction by our own actions, hovers perilously close to midnight, the time that denotes global Armageddon. Today (Jan. 25), the clock has crept even closer to the zero hour. 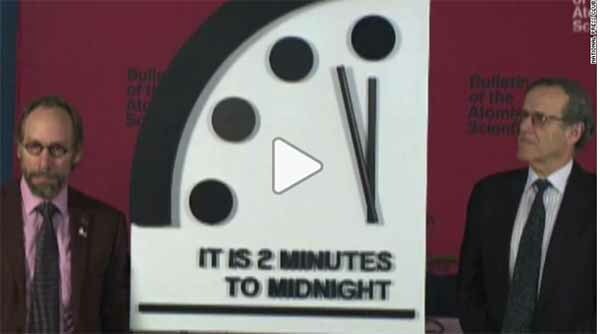 This morning, the Bulletin of the Atomic Scientists (BAS) - an organization of science and policy experts who assess human scientific advancement and risk - revealed the clock's new "time," with the hands now standing at 2 minutes to midnight. The Pacific Ring of Fire grows more active every day way beyond the norm. Keep following events on all fronts not just geophysical changes ... and measure them against your radar for closure. For others, affected by these natural disasters, no one has to tell you that more are on the way in the near future. Stay safe. For the rest ... You'll get it when it hits home. 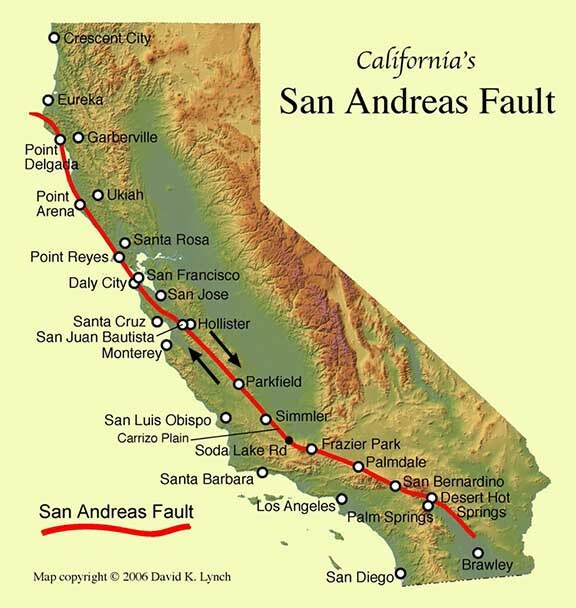 Stay prepared especially if you live in a highly seismic zone which these days is almost everywhere.